Awamaki collaborates with rural Andean communities to create economic opportunities and improve social well-being. 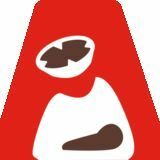 We are a growing and sustainable social business that gives capacity-building and market access opportunities to poor Andean women. We believe that empowering women transforms communities. Poor women know what their families need. Given the opportunity to earn an income, they invest in their children, their homes, their farms, their businesses, and their communities. 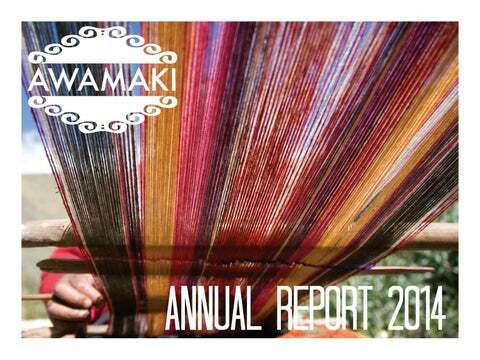 Dear Friends and Supporters In 2014, Awamaki has continued to grow into a mature organization. We are now on the cusp of our sixth birthday, and we have spent the past year working seriously to develop a model that will guide our work and deepen our impact as we grow. This was the first year we tried to implement the Impact Model, launched in 2013. The goal of this model is to use our market access programs to not only put income in the hands of women, but to empower them to learn to run a business so that they can work with any client, and not just us. Like with anything new we try, we anticipated weâ&#x20AC;&#x2122;d have challenges that we couldnâ&#x20AC;&#x2122;t anticipate. We were right! Pushing our Patacancha weavers into greater responsibility led to a showdown with the man who owns the land on which their center was built, and they ended up having to move. Implementing higher quality control standards revealed flaws in our quality rubric and we had to go back to the drawing board to make a usable tool for the women. We are still working on how to teach the women to manage inventory while still ensuring we have a strong supply for our growing orders. But there were unexpected highlights as well. We thought that the women would be resistant to the changes. After all, the new model means more work for them as they learn to keep their own books, manage their own inventory, and pay their own taxes. But we found that introducing these new expectations in the context of their learning to be autonomous businesses with multiple clients has had the opposite effect. The women see this as something inspiring and attainable. It has energized them and we already see them putting in the work to make it happen.